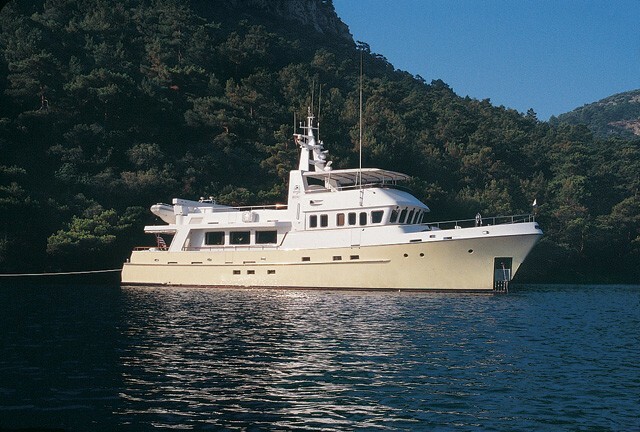 TIVOLI is a 27,58m (90' 6") vessel built in 2001 and refitted in 2008. 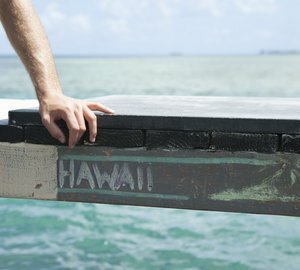 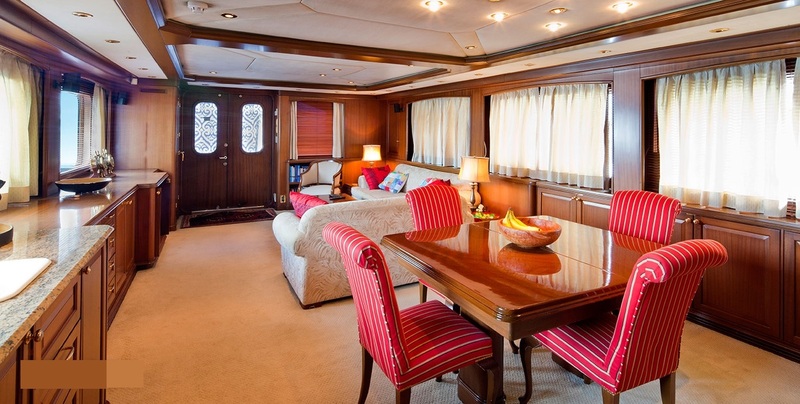 She offers accommodation for 6 guests in 3 staterooms and has a crew of 4. 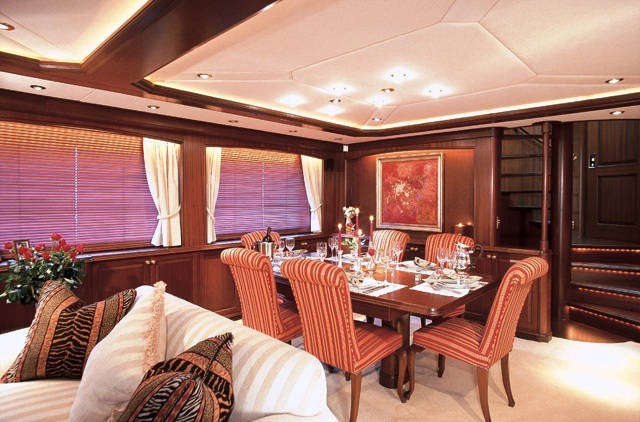 TIVOLI spans 3 levels and offers plenty of areas for entertaining. 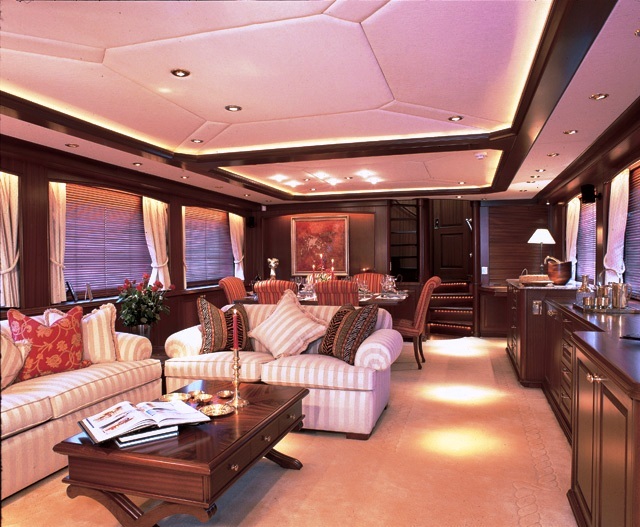 Her welcoming salon features big couches, a Bose entertainment centre, bar, and wine cooler. 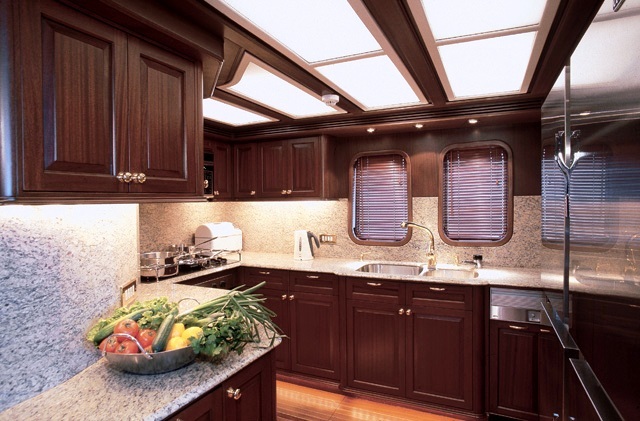 The yachts spiral staircase leads gracefully from one level to another, and the rich mahogany raised paneling and distinctive decor generate an atmosphere of fine sophistication. 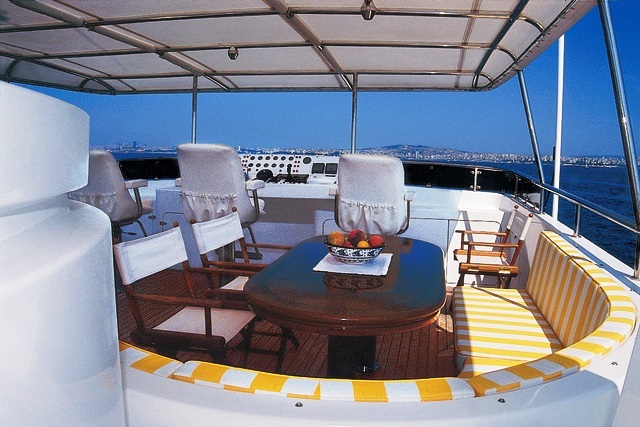 The accommodation quarters below radiate from a foyer at the foot of the circular staircase. 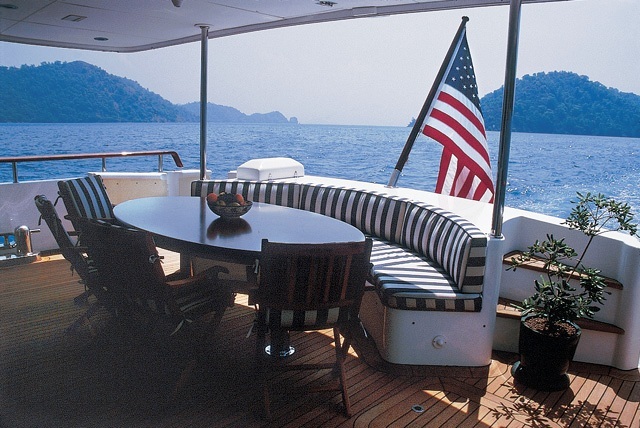 TIVOLI offers al fresco dining both on the aft deck and on the fly bridge. 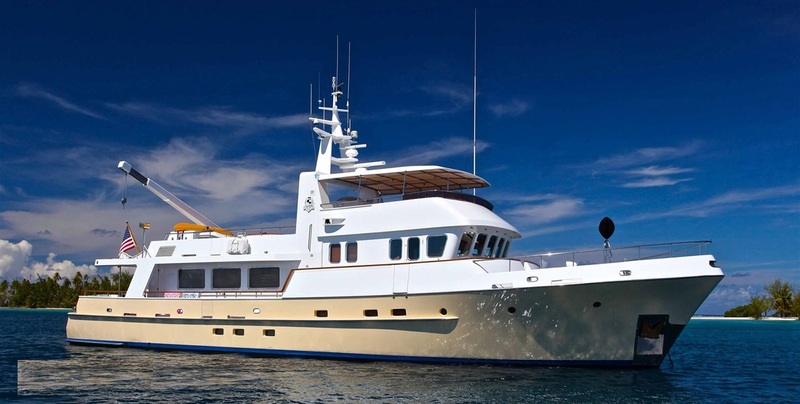 She is the smallest expedition yacht in the world and perfect for individual families or a group of friends. 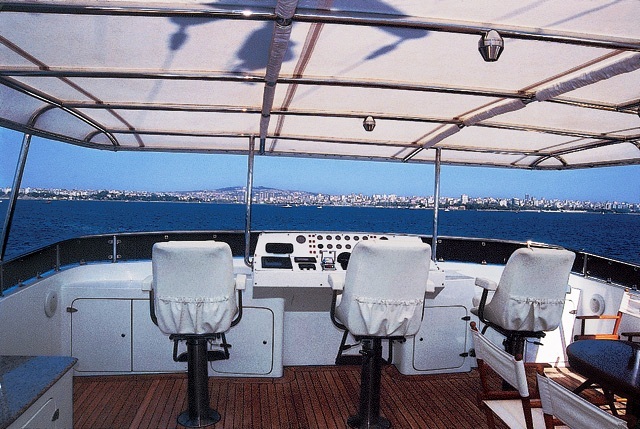 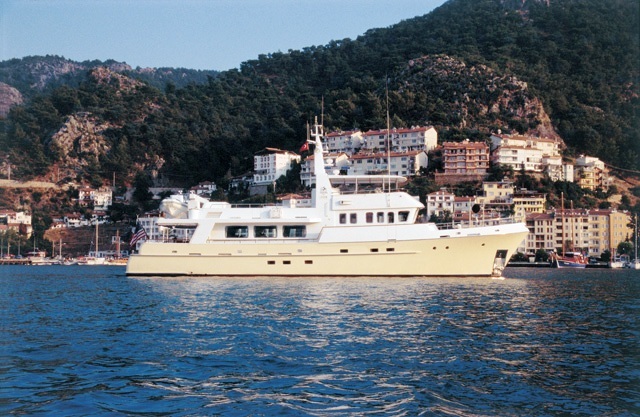 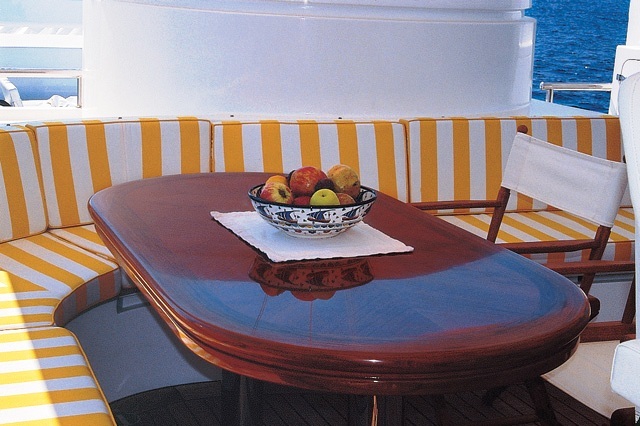 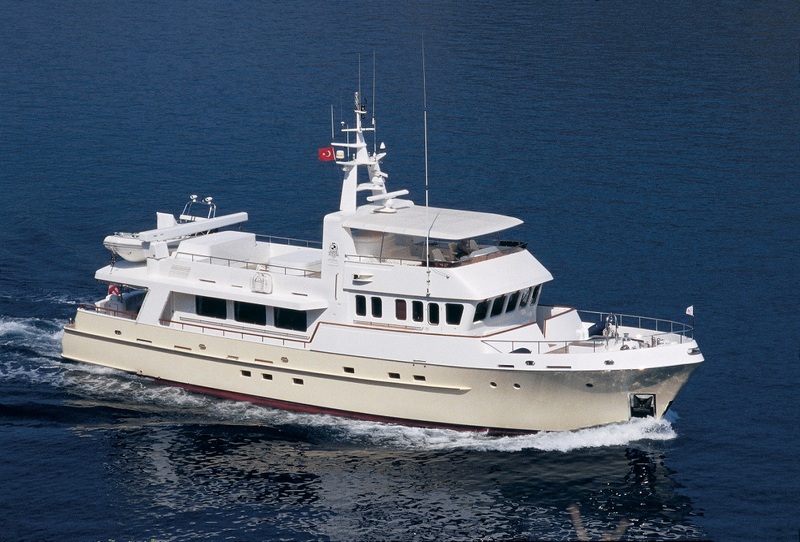 Motor yacht TIVOLI can accommodate 6 guests in 3 staterooms. 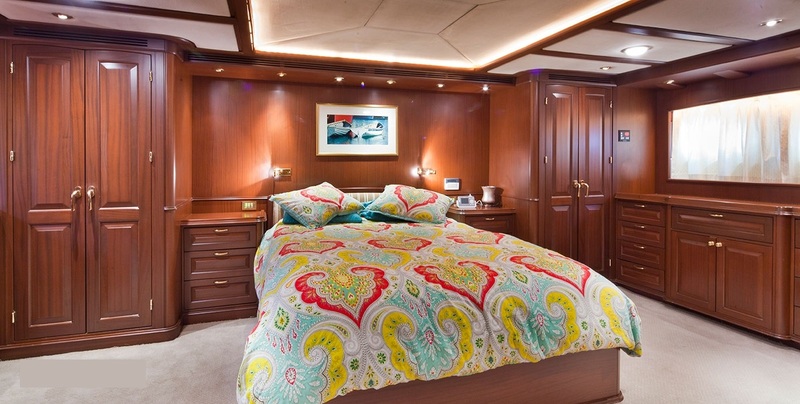 The Master stateroom features a queen-size bed, settee, dressing table and two wardrobes. 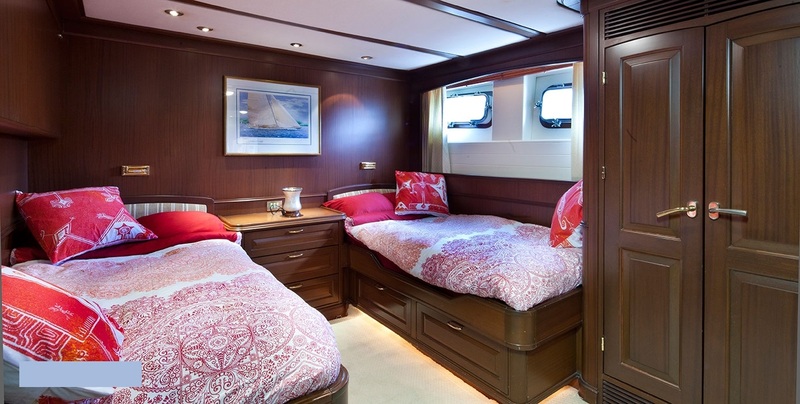 The master ensuite has 2 heads, one with marble shower and one with steam show plus whirlpool. 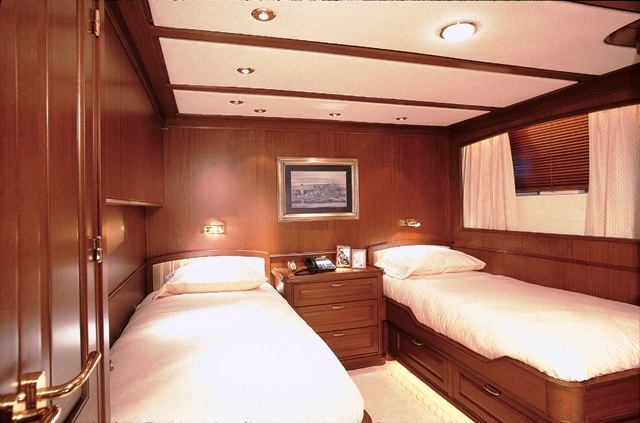 The remaining two staterooms have twin beds with enclosed marble showers. 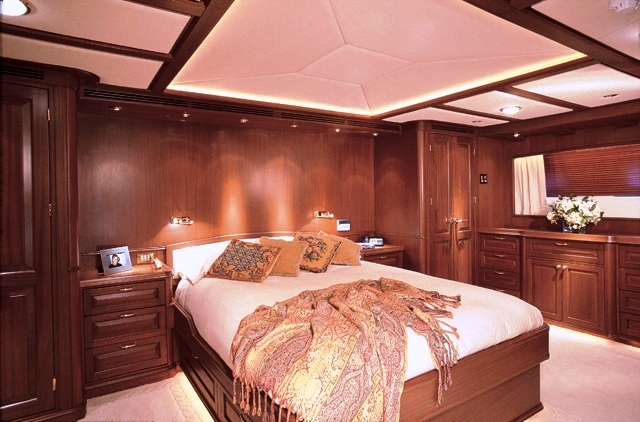 All of the staterooms have individual controls for lighting, air conditioning and heat and the ensuite bathrooms have programmable water temperature settings and European brass fixtures. 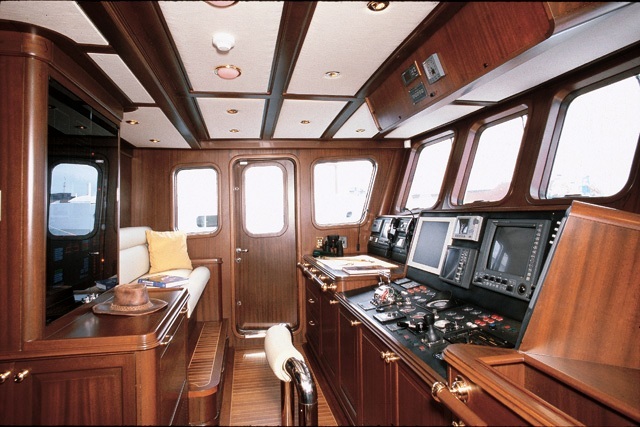 The yacht features Spiral staircases, rich mahogany raised paneling. 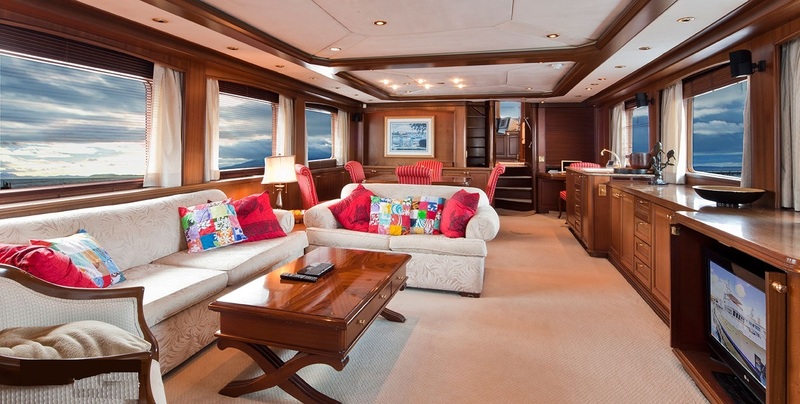 A Saloon with large couches, Bose entertainment centre, bar and wine cooler. 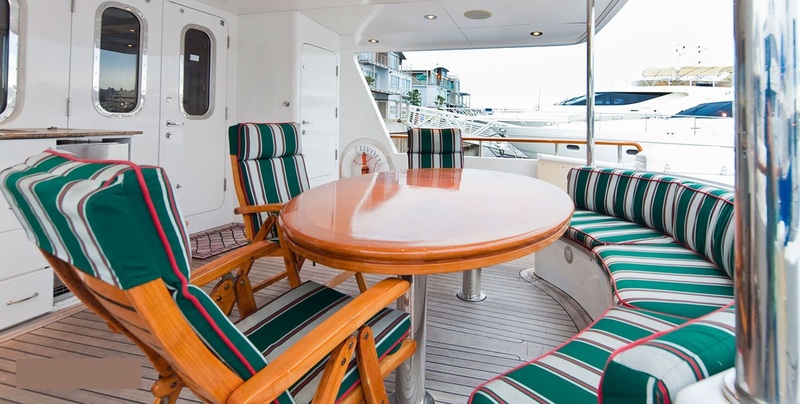 Motor yacht TIVOLI has a fantastic range of Tenders and Toys onboard including: an 18' Novurania launch with twin 50-hp Yamaha motors, a 13' Novurania launch with 50-hp Yamaha motor, a Boogie board, Biscuit tube, Surf Board, Knee Board, water skis for adults and children, 2 bicycles, 2-man Kayak, Jaccuzi on fly bridge, treadmill, snorkel gear and board games. 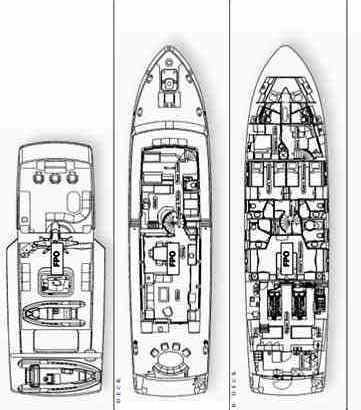 Communications onboard include Radar, SATNav, WetherFax, GPS, cell phone, fax, SSB, and e-mail. 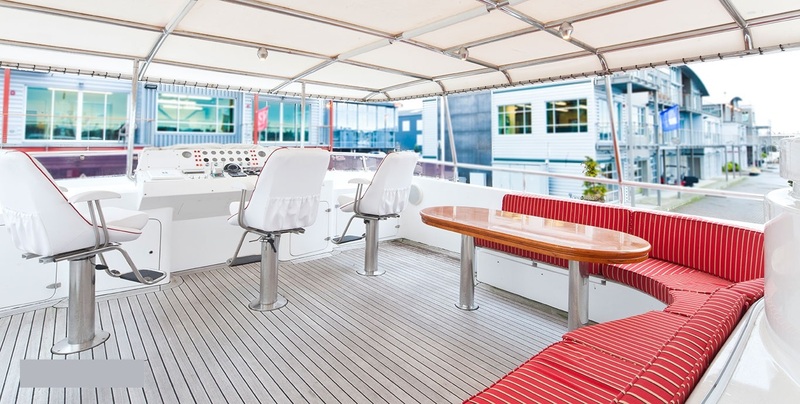 Audio Visual Equipment and Deck Facilities include a Bose home-theater sound system and Sony 10-CD changer/cassette player in saloon, aft deck and spa deck, individual CD/cassette players/radios in all staterooms and a 25” TV/VHS/DVD in salon.